Last Sunday morning whilst Pedro was eating his breakfast ( I’d love to say that he was tucking into tropical fruit salad (but that’s not really very Pedro) and drinking fresh Javan Coffee, but the truth is now that we are living in Jakarta, bacon is a bit of a pig to get hold of so his usual bacon butty fix has had to be replaced by wholesome Dairylea slices wedged in toast with tomato and not having a coffee maker, Nescafe is our new breakfast beverage. Anyway I digress, because what I wanted to say was ….Last Sunday, whilst Pedro was having breakfast he suddenly came up with a brilliant idea, and the brilliant idea was to go to the Wayang Museum in Kota which is the Old Dutch colonial area of Jakarta, previously known as Batavia. 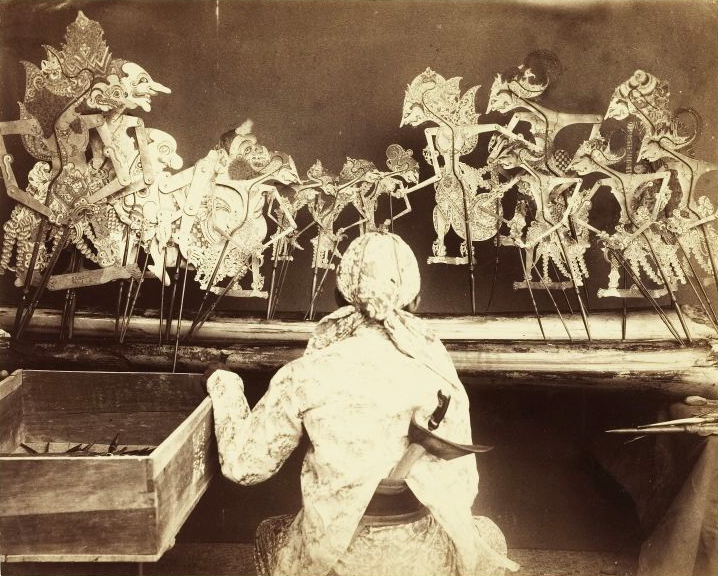 The Wayang Museum apparently has an amazing collection of old Javanese and Balinese shadow puppets and on Sundays they have a free puppet show. We called a taxi , two VERY ignorant Bules*, and headed off in a northerly direction up to Kota. Alas, when we arrived in Kota,the Museum had a big padlock on the door and was plainly not going to be opening any time soon. How could this possibly be? Well the answer is very simple. Sunday was Eid-ul Adha – The Festival of Sacrifice and a very important day in the Muslim calendar as it marks the end of the Hajj to Mecca, the pilgrimage that all Muslims are encouraged to make at least once in their lifetime. This special day is marked by roasting lamb and distributing the meat to the poor and sharing the rest with family and friends. In otherwords a big day of celebration. Now, if we had been wise Bules and not ignorant Bules, we would have done a bit of research when coming and making an Islamic country our home, and we would have found out exactly when the holidays, festivals and significant religious days are, but I am ashamed to say that we didn’t, so we felt very stupid as our taxi sped off into the dusty streets and we were left standing surrounded by about 40 children who then followed us like the Pied Pipers of Hamlin around the square whilst we wondered what to do next. There were no taxis in sight and we were feeling a little disappointed that the brilliant idea hadn’t been quite so brilliant after all. As luck would have it, out of the corner of my eye I spotted Café Batavia and having heard that it was a nice place to go to, I suggested to Pedro that rather than play Pied Pipers a minute longer, we should seek refuge in the aforementioned café and decide on what to do next. Well, as it so happens, it turned out to be THE most brilliant idea of the day! What a place -I am truly sorry Lonely Planet, but you just do not do this place justice. Café Batavia is an oasis of calm for a frazzled, ignorant Pied Piper in this wonderful but crazy, mad city. Sure it’s been done up to appeal to tourists such as ourselves, but this two storey colonial Dutch building maintains some elements of elegance and grace from (I hate this word coming up) a bygone age. 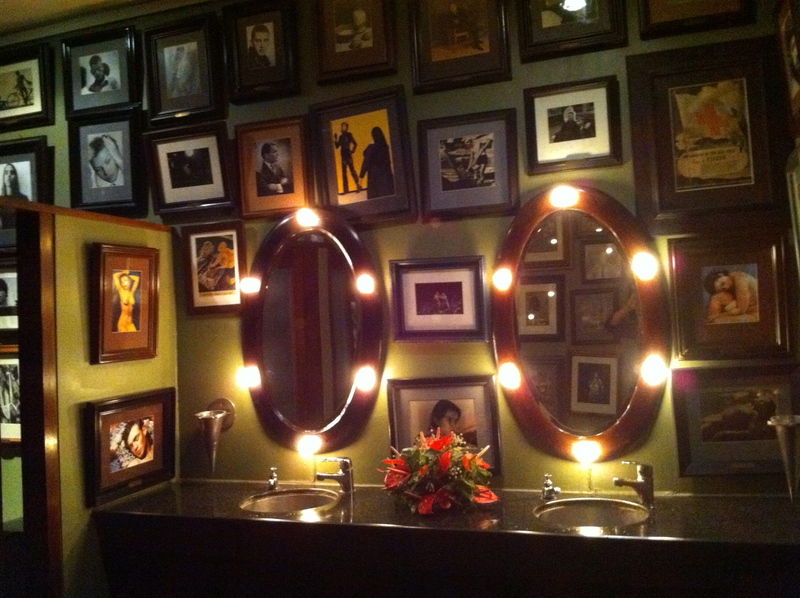 Beautiful teak floors, elegant chandeliers, stunning flower arrangements, cosy seating areas, lovely antiques, art deco furniture…… and the most beautifully decorated loo I have ever been to in my life. If you are ever in Jakarta and need a waz, please go there, money back guarantee you will love it! 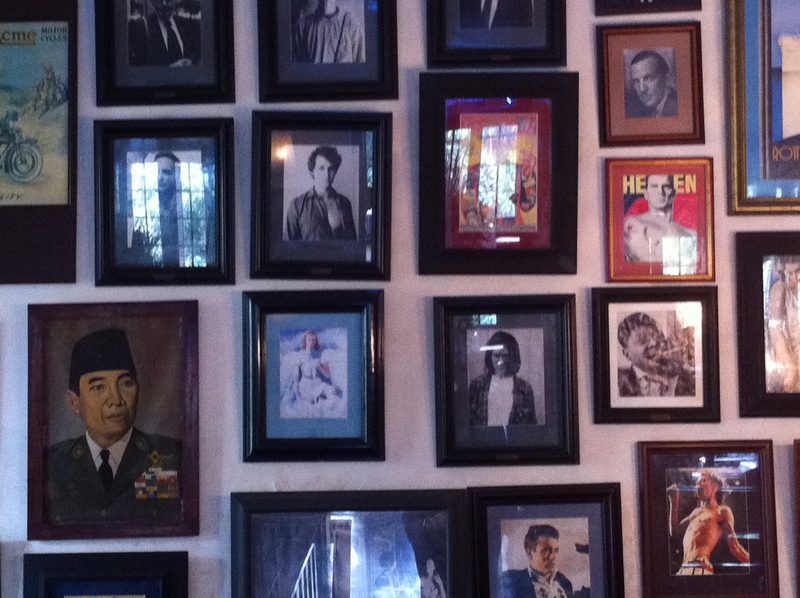 Pedro and I ended up spending 3 hours in Café Batavia as there were so many pictures to look at, not least the Cecil Beaton photographs and pictures of Cary Grant, Fred Astaire, my Dutch Queen Beatrix, film stars, politicians… the list is endless. 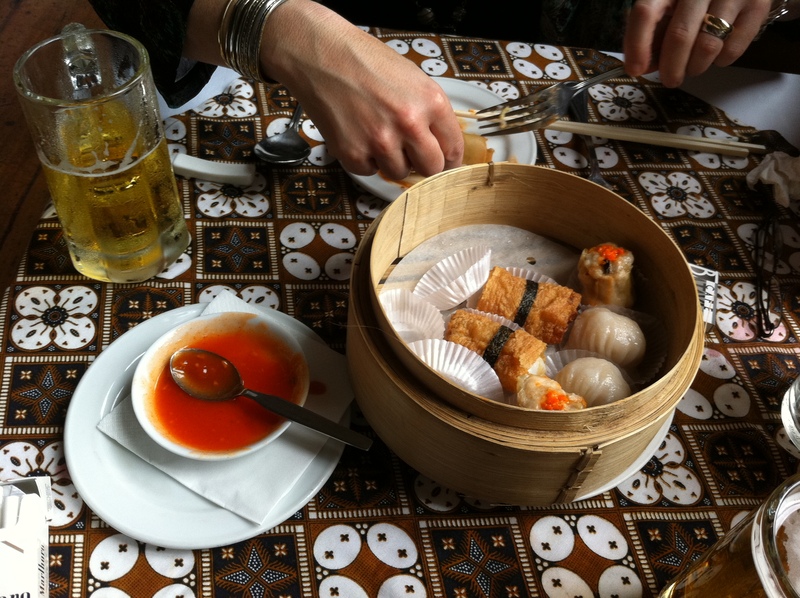 We ended up having a delicious lunch and a few beers before heading home to do some serious homework on getting savvy with the ‘high days and holidays’ in our new country. 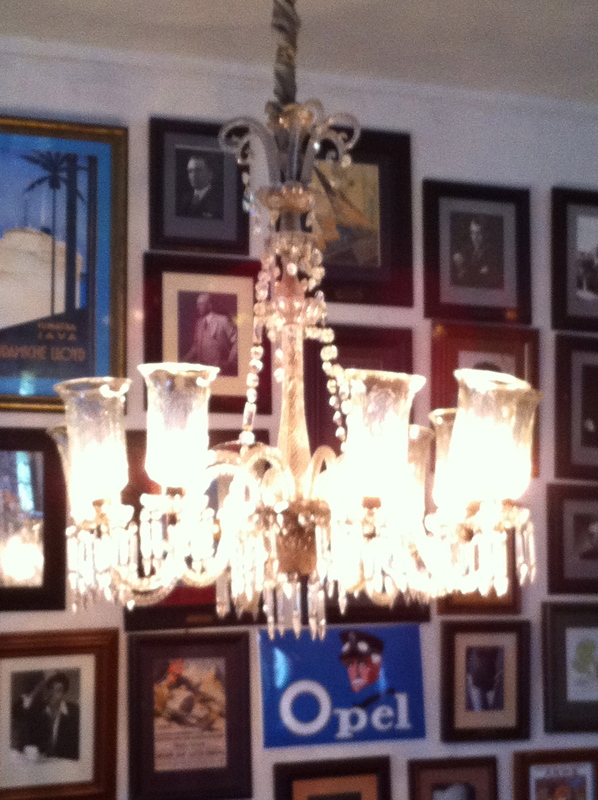 Cafe Batavia looks super, a real find for the Pied Pipers! Hope Singapore was equally glamorous. Malcolm was pleased to see that you are both looking good and would appreciate Pedro’s number. Hi Pam – great you’ve left a comment and thank you! 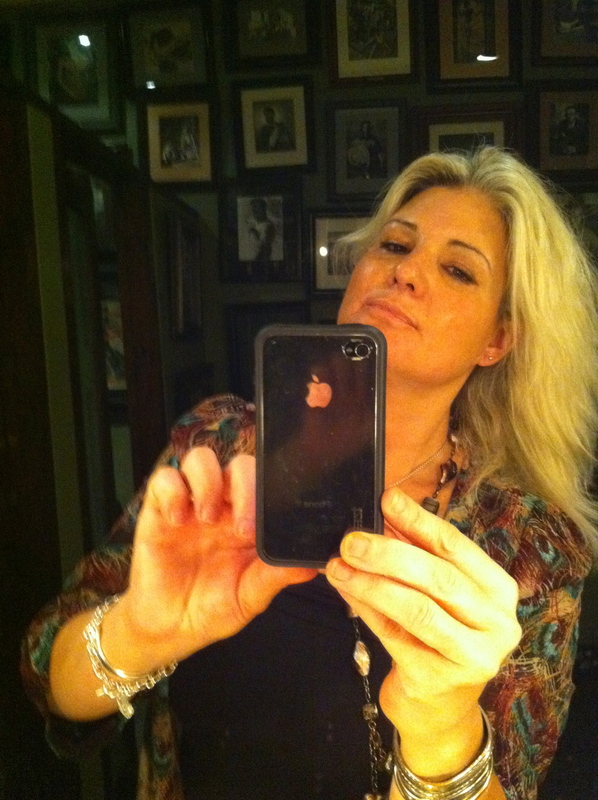 Yes, Cafe Batavia is fantastic – in fact so much so that I feel another visit coming on soon. Without doubt the most ‘stylish’ Ladies that I have ever visited. I love Cafe Batavia, shame the Wayang Museum was closed, I tried to visit one time, on a Monday! Turns out they are closed every Monday, so I’m just as dumb! haha. Glad we are not the only ones! we still haven’t managed to go and we’ve now been here 6 months. 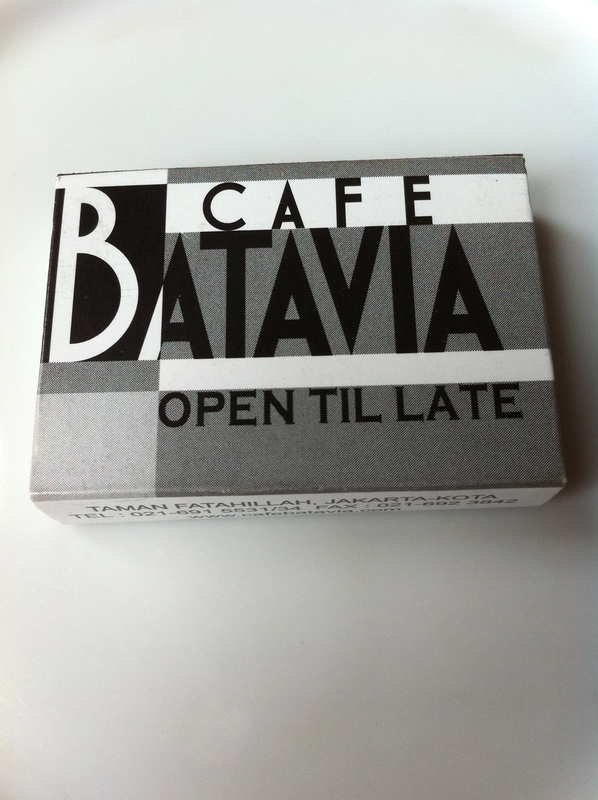 Managed to make the trip to Cafe Batavia plenty of times. Just shows that I’m much more interested in my stomach than filling my head with culture – no that’s not true but it does seem like it! We will make it through the great portals of the Wayang museum eventually i’m sure – too good to miss. That’s made me laugh! brilliant! I bet we are in the same position 5.5 yrs down the line from now – you sound good fun, maybe we will bump into you in CB one day. 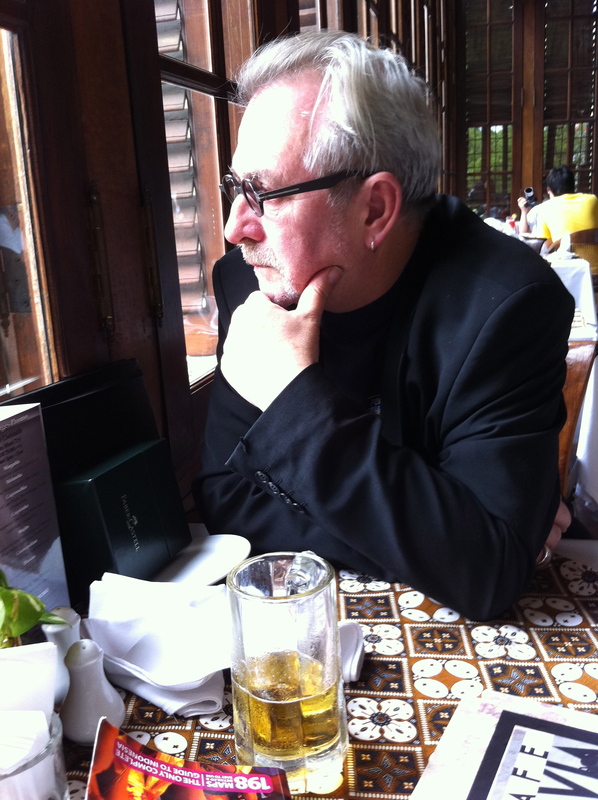 Pete is involved in education here too – setting up a new university in Jakarta.